Sugar was the single most valuable bulk commodity traded internationally before oil became the world's prime resource. From the sixteenth to the eighteenth century, cane sugar production was pre-eminent in the Atlantic Islands, the Caribbean, and Brazil. Subsequently, cane sugar industries in the Americas were transformed by a fusion of new and old forces of production, as the international sugar economy incorporated production areas in Asia, the Pacific, and Africa. Sugar's global economic importance and its intimate relationship with colonialism offer an important context for probing the nature of colonial societies. 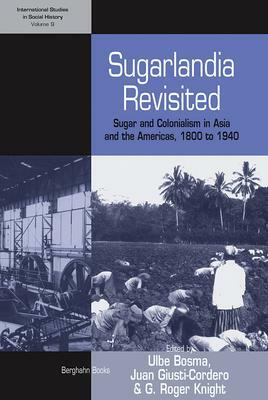 This book questions some major assumptions about the nexus between sugar production and colonial societies in the Caribbean and Southeast Asia, especially in the second (post-1800) colonial era. Ulbe Bosma is Senior Research Fellow at the International Institute of Social History. He is published on colonial Indonesia in Dutch, English and Portuguese and is co-author of a general history on the Dutch creole societies in Asia (forthcoming). Juan A. Giusti-Cordero is Professor of History at the University of Puerto Rico, Rio Piedras. He has written extensively on Puerto Rican and Caribbean social history and is author of Land, Community, and Resistance in Pinones (Loiza), 18th-19th Centuries (forthcoming). G. Roger Knight teaches history at the University of Adelaide. He is widely published in the field of the social and economic history of colonial Java; his book Steam, Steel and Cane: A Global History of the Java Sugar Industry 1830-1960 is forthcoming.